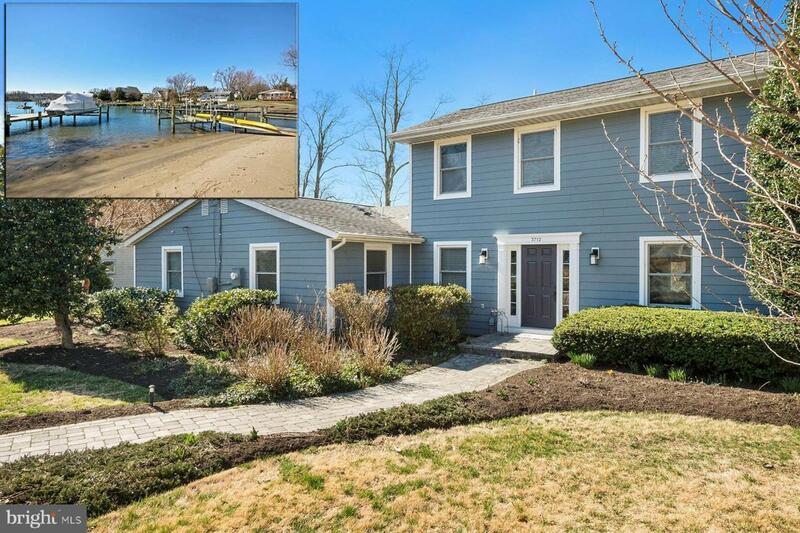 3712 Ramsey Drive is a beautifully updated three bedroom, two and half bath waterfront home in the Turkey Point community. 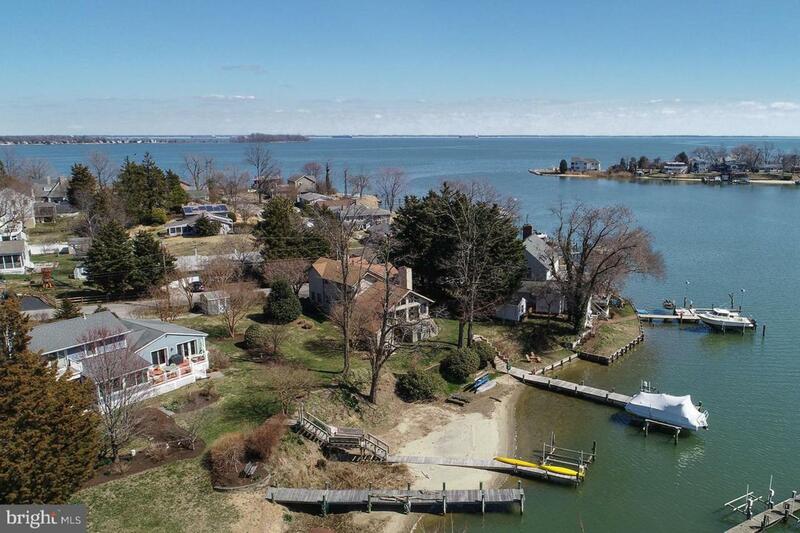 The private pier has 3 ft water depth and provides access to the South River and Chesapeake Bay via Ramsey Bay. Live the island lifestyle and enjoy the community~s beaches, a fishing pier, and playground.As you approach the home you are immediately drawn to the mature landscaping, extensive hardscaping and the spacious semi-circular driveway. 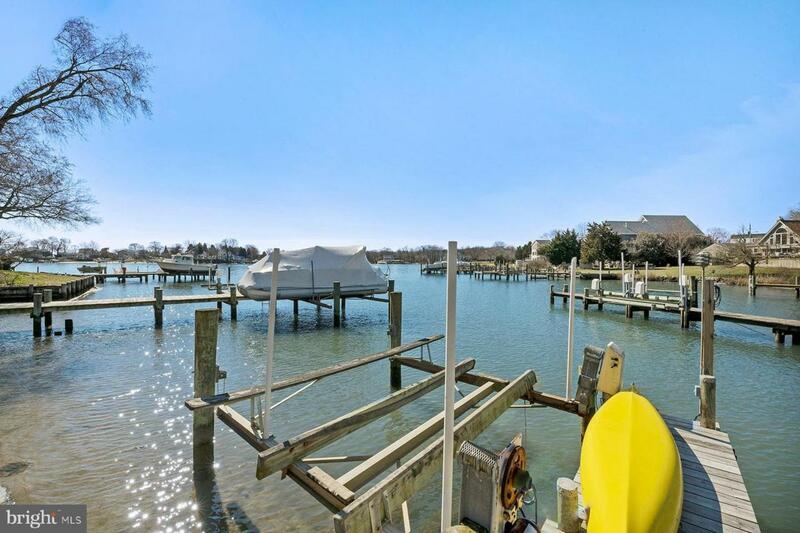 The waterside of the home has three decks and a gorgeous sunroom that overlooks the yard, beach area, and private pier. There is also a detached storage shed; perfect for all your water toys and gardening supplies. Entering the home you~ll find stunning mahogany hardwood floors, the gorgeous wood-burning fireplace, and the natural light that floods the space. The living room has access to a covered deck that is a perfect way to start the day with a cup of coffee or enjoying the morning news. Just off the living room is a spacious sunroom with that overlooks the water. Down the hall is the almost-new kitchen with grey cabinets, custom tile backsplash, beautiful quartz counters, updated appliances, and a breakfast bar. Adjoining the kitchen is the dining area with a bright and open feel, restored maple floors, and magnificent water views. This level also has a powder room and two bedrooms that share a full bath.Upstairs is the private master bedroom suite. The spacious bedroom has a private waterside deck that overlooks the gardens and private pier. There is a luxurious master bath with soaking tub, a stunning marble tiled shower with glass enclosure, marble flooring, custom cabinetry with linen closet, and a double sink vanity. The suite also has two closets for storage. 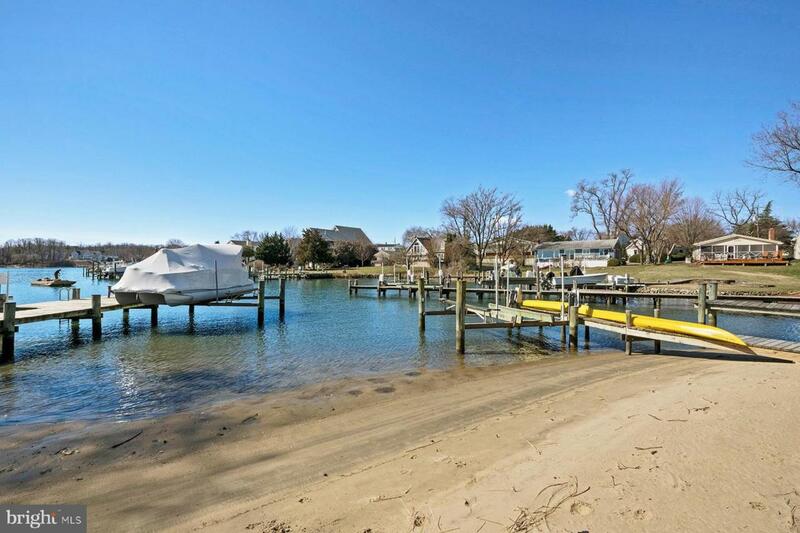 This special property includes a separate waterfront lot that could provide the space for a garage or pool. Turkey Point has the escape feel of a vacation home, yet it~s within commuting distance to Annapolis or Washington.